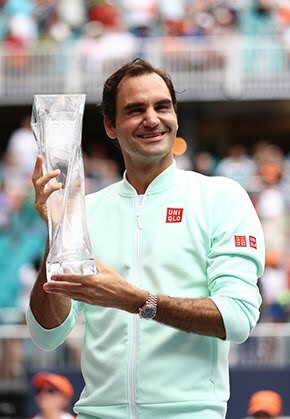 Roger Federer has given the first detailed account of his recent knee injury, surgery and rehab ahead of his opening-round match at the Miami Open. Federer revealed Thursday that the arthroscopic surgery to repair a torn meniscus was performed on his left knee. He also outlined how the freak injury happened. 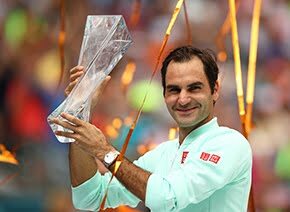 Federer is set to play his first tournament since the Australian Open Friday in Miami, when he takes on former US Open champion Juan Martin del Potro, who himself is on the comeback trail from wrist surgery. Federer said that the innocuous accident happened as he was running a bath for his twin daughters. As he turned from his right to his left and shifted his weight to his left foot, Federer felt something ‘click’ in his left knee. He continued with a planned family trip to the zoo even though his leg was swollen. Upon returning home to Switzerland he immediately had an MRI, which led to the February 3 surgery. “I remember I turned, I felt my knee was funny, I turned back. 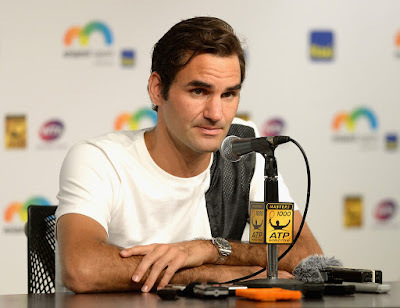 That's when I heard a click,” Federer said. “I did feel that something was strange in my knee. Very simple movement, probably a movement I've done a million times in my life for sure. “When I got the news that I had to have the operation I saw the pictures and talked to my doctor and knew that it was the only way out of this one. In the hospital, when I was about to go into the operating room, that’s when I got nervous and sad about it all. When I woke up and looked at my knee it was like ‘This doesn’t feel like my leg. I can’t believe I did the operation and I hope it will come back from here.’ That’s when I got scared. Federer was on crutches for 12 days and only resumed full training nine days ago. Despite missing key events in Rotterdam, Dubai and Indian Wells, Federer said that he savoured the extra time at home.